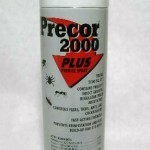 PRODUCT DESCRIPTION: Odorless aerosol which has a wide range of treatment sites and pests covered. 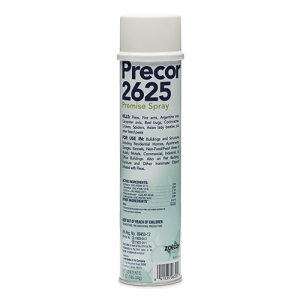 Well suited for any type of crawling pest in the home, Precor 2625 can be applied to carpets, furniture, cracks and crevices as well as pet bedding. It contains several adulticides, a growth regulator and synergist ensuring good results for any pest. WHERE TO USE IT: Cement floors, wood floors, carpets, arear rugs, tiled or linoleum floors. TARGET PESTS: Included but not limited to Argentine ants, bed bugs, carpenter ants, cockroaches, crickets, fire ants, fleas,pantry pests and spiders. RATE OF APPLICATION: One can will treat up to 2625 sq/ft. Run time is about 15 minutes per can so plan on using about 30 seconds to treat 100 sq/ft.